So says Michael Snyder (www.theeconomiccollapseblog.com) in edited excerpts from his original article*. Lorimer Wilson, editor of www.munKNEE.com (Your Key to Making Money!) has edited the article below for length and clarity – see Editor’s Note at the bottom of the page. This paragraph must be included in any article re-posting to avoid copyright infringement. Once people understand that the economy has been collapsing, and will continue to collapse, most of them want to get prepared for the storm that is coming. So where should someone get started? Well, the truth is that no two people are facing the exact same set of circumstances, so preparation is going to look different for each individual but there are certain core principles that we can all benefit from. With a financial storm coming now is not the time to be blowing thousands of dollars on vacations and new toys…. [Instead,] we all need to start getting into the habit of making the most out of our limited resources. The seemingly endless prosperity that we have all been enjoying for decades is coming to an end, and most of us have absolutely no experience on how to deal with truly hard times. If you are under the age of 60, it might be a really good idea to read a book or two on what conditions were like during the Great Depression of the 1930s. There is a lot that we can learn from our own history. Another key characteristic that we will all need in the years ahead is flexibility. As the global economy breaks down and the world becomes increasingly unstable, conditions are going to change rapidly. What might work really well in one situation might be the exact wrong thing to do 6 months later. If you are not willing or able to adapt to dramatic change then you are going to have a lot of difficulty in the years ahead. Generally, things are going to be getting progressively worse as the years roll along….I believe that the economic collapse is not a single event but, rather, a series of waves that will be punctuated by moments of great crisis. [As such,] advice about preparation is going to be different depending on whether you are talking about the short-term or the mid-term or the long-term. Hopefully you will keep that in mind as you read my answers to the questions below. Question #1: How Do I Get Started? Answer: You need to have an emergency fund saved up that can cover your expenses for at least six months. When a crisis hits the biggest danger is that you could lose your job and, if you are living paycheck to paycheck, you would not be able to pay your bills and, as such, would also end up losing your home…. If you lose your job, or your business goes under, you will be able to keep going for a while as you figure out what your next move will be. These days it takes the average unemployed American nearly 40 weeks to find a new job, and it will likely be even worse in the next major economic downturn. Summary: Make sure that you have plenty of cash saved up just in case. If you are currently living paycheck to paycheck you are extremely vulnerable. Question #2: What Should I Do With My Money? Answer: Don’t keep all your money in one place. Sometimes people will tell me that they are going to take all of their money out of the banks because they don’t feel safe having their money in them. Well, if you stick all of your money in your mattress, what happens if there is a fire or what happens if someone robs you? That is why I believe in spreading your risk around. Having money in a bunch of different places is a good thing. One place you should not put your money, however, is in the stock market. If you were fortunate enough to catch the recent rally you should get out while the getting is good. If you have blind faith in the stock market you are going to be deeply disappointed eventually. I do not have a single penny in the stock market, and a couple of years from now that is going to look like a very wise move. Question #3: Should I Invest In Precious Metals? You need to be prepared for wild fluctuations in price over the coming years. There will be times when gold and silver absolutely soar and there will be times when they drop like a rock so, if you are going to play the game, you need to be able to handle the ride. Question #4: Should I Get Out Of Debt? Answer: Many that write about the coming economic collapse say that you shouldn’t even bother to pay off your debts because the financial system is going to collapse anyway but I don’t see it that way. I don’t believe that our banks are going to totally collapse and suddenly go out of existence – not in the short-term anyway – so I believe that it is actually a good idea to get out of debt. When financial troubles hit you don’t want a horde of bill collectors coming after you. Question #5: What If I Don’t Have Any Money To Prepare? Answer: Many families are just barely scraping by each month and they do not have much money to put into anything… [Nevertheless,] I would say that there are very, very few families out there that do not have anything that can be cut out of the budget because, the truth is, American families are experts at blowing money on really stupid stuff. In general, I recommend that all families do what they can to reduce their expenses because, the smaller financial footprint you have, the better off you will be and the more resources you will have to help you get prepared. Also, now is the time to be looking for ways that you can increase your income. For many Americans, starting a side business is a way to bring in some extra cash. Yes, this will cut into your television watching time, but now is not the time to be lazy. The time you spend working hard now while the sun is still shining will pay off later. Don’t be afraid to work harder than you ever have before. Question #6: Should I Rent Or Buy? you get to avoid a lot of the expenses and hassles that come with being a homeowner. you get to “lock in” your housing expenses for many years and, in a highly inflationary environment, this would potentially be very beneficial – and interest rates are very low right now…. it is going to be much harder to move if something does happen and you need to go somewhere else but if you are looking for a house where you can grow your own food and become more independent of the system, then in most cases you are going to have to buy such a house. Question #7: What About My Health Condition? Answer: Even if economic conditions were perfect it would be a good idea to learn what you can do on your own to improve your health and this is especially true as we move into a time of great economic instability. Over the next few years, our health care system should continue operating at least somewhat normally but the truth is that our health care system is in horrible shape and it is not a good thing to be totally dependent on pills and doctors. Question #8: Should I Be Storing Food? Answer: Yes...I do not believe that there will be major food shortages in America this year or next year but down the road, however, is a different story – and your food dollars are never going to go farther than they do right now. Question #9: Should I Be Storing Water? Answer: It is always good to have some water on hand in case disaster or emergency strikes and you should be rotating whatever water you currently have on hand because you don’t want water sitting around indefinitely. What is much more important, however, is to make sure that you and your family have access to a source of water that you can depend on if disaster strikes and the grid goes down. Question #10: Other Than Food And Water What Other Supplies Will I Need? Answer: Anything that you use on a regular basis or that you would use in an emergency situation is something that you should consider storing up. Question #11: What Happens If The Power Grid Goes Down? Answer: Some people have a backup generator for such circumstances while others have set up wind and/or solar systems for their homes. Alternative energy solutions are great if you can afford them, and they will enable you to become much more independent of the system but not everyone can afford to put in solar panels or a big wind turbine so you will have to do what you can with what you have. Question #12: Should I Leave The Big Cities? Answer: There is no easy answer to this question. In this day and age, a good job is like gold. It can be really, really tough to give up a good job and move to the middle of nowhere but, without a doubt, society is starting to come apart at the seams and I do expect rioting and major civil unrest in our major cities at some point in the future. Question #13: Should I Get Some Self-Defense Training? Answer: When criminals come to your home, they are…simply going to do what they came there to do unless someone stops them. So yes, some self-defense training may come in very handy in the years ahead. Question #14: What Should I Do If My Family and Friends Won’t Listen To Me? Answer: You just have to do the best that you can. If they won’t listen now, just keep planting seeds. Keep sending them articles that are packed with statistics and information that show why an economic collapse is going to happen. In the years ahead we are all going to need our families and our friends because communities will endure what is coming much better than “lone wolf” individuals will be able to. No matter how hard you prepare, at some point you are going to need the help of someone else so don’t be afraid to reach out to others. If nobody among your family or friends will listen to you at the moment, you may have to prepare on your own right now. In fact, you may have to do extra preparation because at some point it is probably inevitable that your family and friends will come to you for help. Nobody said that preparing was going to be easy…The times that are coming are going to be incredibly challenging. They are going to require a great deal of physical, mental, emotional and spiritual strength. If you are a “lone wolf” that believes that you don’t need anyone or anything, then I feel sorry for you and I honestly don’t know how you are going to make it. If you are one of the many people I have met who are “know it alls” – some of the most clueless people that I have ever come across – you should realize that none of us have all the answers. We can all learn from each other….I never want to stop learning, and hopefully that is the case for you as well. 1. 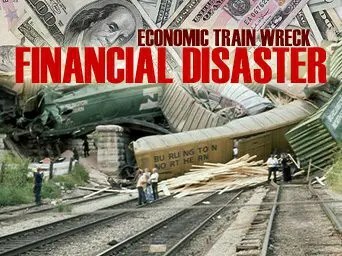 Update: This Video – Now Viewed by 1,323,000 – Explains Why Economic Collapse of U.S. Is Inevitable!